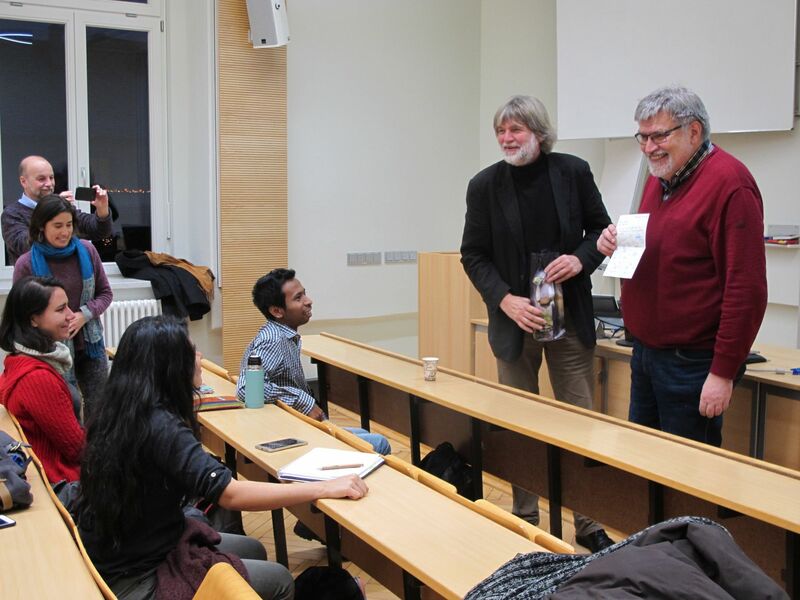 Both batches of the Tropical Forestry Master course and doctoral students had the opportunity to attend a lecture of Prof. Albert Löhr – holder of the chair of social sciences and an expert on Corporate Social Responsibilities (CSR). We learned that CSR is employed in a variety of ways with regard to labor regulations, social issues (such as inequality) and societal concerns (such as environmental degradation). The latter two mentioned are the part where foresters, often working in complex nature-human networks, come in. Work, which will help to achieve Goal 15 of the United Nations’ Sustainable Development Goals (SDGs)– the conservation and restoration of the land that sustains us. 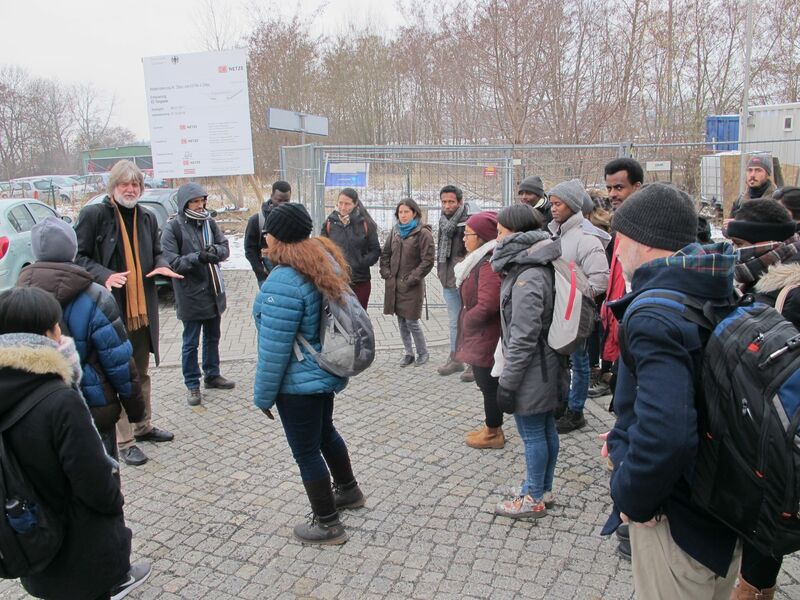 On 14 December, a joint excursion took us to the border triangle city of Zittau. Braving the snow from the inside of a warm train, we arrived at our final destination: the central market place of Zittau where the TUD International Institute Zittau (IHI) is located. For three and a half hours, we listened to Prof. Albert Löhr’s lecture about CSR. 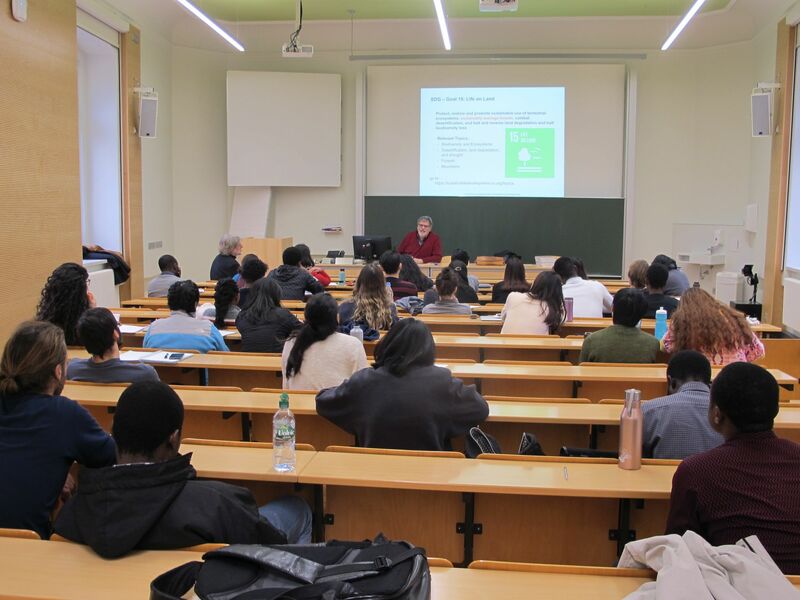 In the beginning, Prof. Löhr illustrated the topic with examples of historical events like nuclear and aerospace disasters as well as private companies’ activities to present the complexity and dimensions of the terms social and responsibility. We were given an introduction on the beginnings of CSR, which can be found in the five pillars of religion, academics, business, multi-stakeholders and government as well as an input on the philosophy of ethics, morals and responsibilities. The second half dealt more with management tools of CSR, accreditation and certification of systems. It also gave room for questions and a discussion with the MSc and PhD students who brought up topics of their home countries. Prof. Pretzsch explaining about Zittau on the way to the lecture. Prof. Löhr giving the lecture at IHI Zittau. 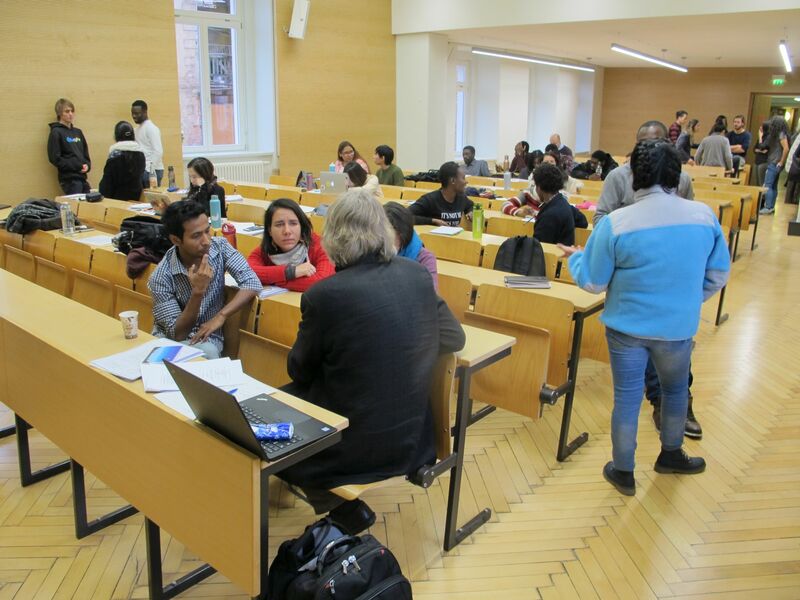 Discussions among the students during break time. No excursion, around Christmas, would be complete without the obligatory mulled wine and, with the Christmas Market being just in front of the institute, a cozy get together at the end rounded off well the interesting day. 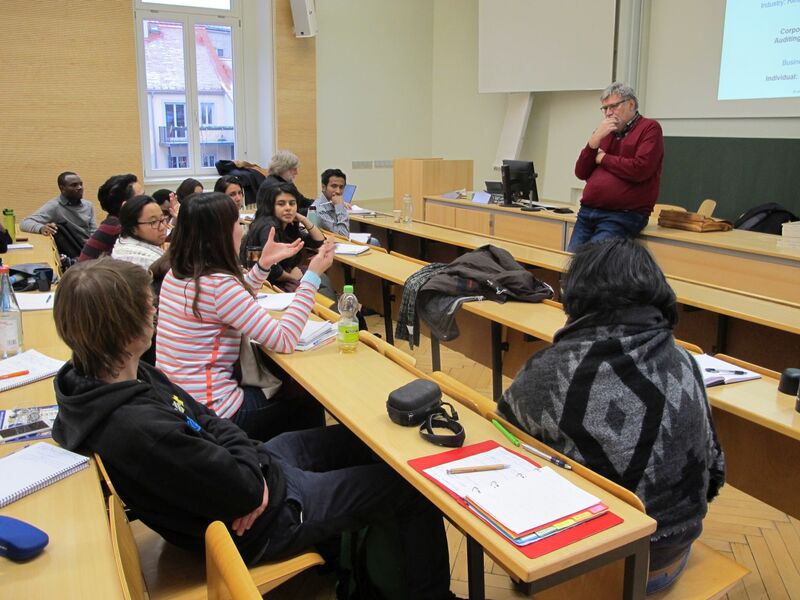 We thank Prof. Albert Löhr for welcoming us and giving the lecture and appreciate his voluntary commitment.